For some, the humble browser is little more than a gateway into the World Wide Web, and whatever version comes bundled as default with their computer is the one they use. For others, however, the browser is much more than that – it’s a malleable, customizable tool that can be moulded to suit their Web-browsing needs. But which browser you choose will determine how and to what extent you can customize it. Internet Explorer (IE) has pretty much dominated the browser market for some time. But as we reported last month, its dominance is starting to dwindle, falling from almost 60% market share in June 2009, to less than 45% today. Google Chrome, on the other hand, has shot up from a mere 3% to over 20% in the same period, with Firefox dropping a couple of percent. Indeed, the latter of these has proven to be a major success story since it was launched by Mozilla Corporation in 2004, and it has even usurped Internet Explorer into number one spot in some countries – such as Germany, Austria and Poland. In fact, Firefox was the number one browser in Europe for much of 2011, with IE only recently regaining top spot – but they’re pretty much neck-and-neck. 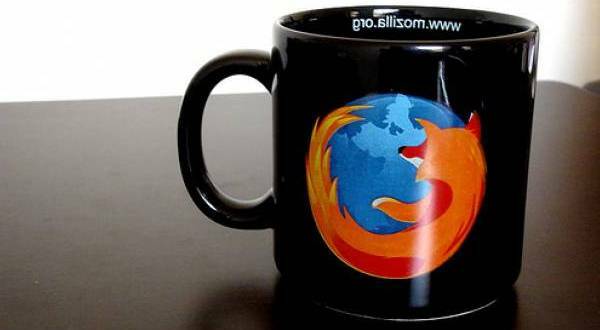 What has made Firefox a formidable force has been its malleability, enabled through a vast selection of extensions created by third-party developers, and which have helped create a much richer Web-browsing experience. 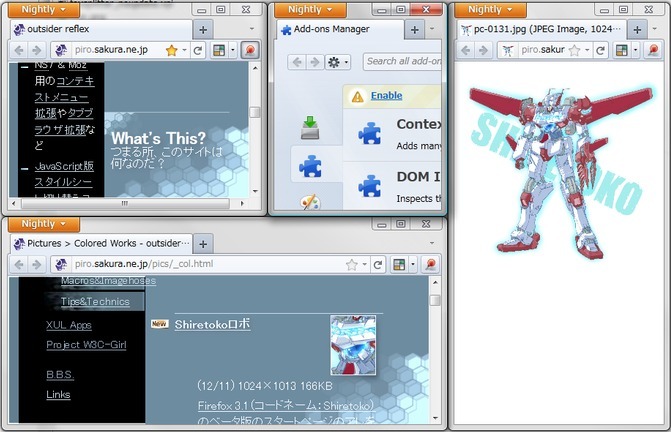 Extensions are one of three different types of add-ons, alongside plug-ins and appearance (themes and personas). There are thousands of Firefox browser extensions, which are free to download and available instantly. Some of the more common ones you may have encountered include Adblock Plus, Greasemonkey, FlashGot and Screengrab. There’s certainly no shortage of great extensions, but we thought we’d highlight some of the Firefox extensions that Google Chrome wishes it had. Integrated Gmail (IG) is a neat Firefox Extension, making Gmail a much more pliable platform. Among its features, Integrated Gmail lets you collapse your inbox and load the likes of Google Calendar, Reader, Google Maps, Picasa, Sites, News and more from within the main central pane. Furthermore, IG also lets you collapse the sidebar and header, giving you the full screen to construct your email. You can also add Google Gadgets easily into the Gmail interface beneath the inbox, as opposed to in the sidebar, accessed through a collapsible box. If you use Gmail a lot, you may wonder how you got by without IG. This extension helps you monitor multiple information streams all within one page, and there’s no need to keep countless different tabs open. It’s yet to come to Chrome…but surely it can’t be that far off? DownThemAll covers pretty much everything you need in a download manager, and Chrome could do with such an extensive download manager. It can increase download speeds and also allows you to pause/resume downloads. 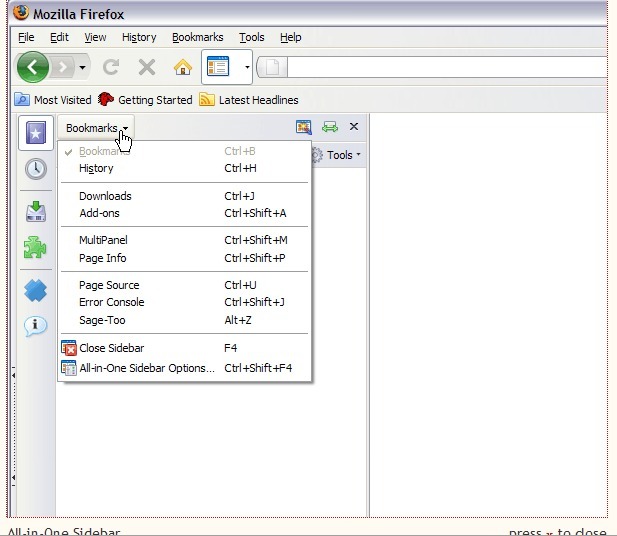 This extension features a nifty download technique called ‘multipart download’ – it essentially divides files into sections that are downloaded simultaneously. This helps to maximize the bandwidth which increases the speed by up to four times. It has other useful features such as letting users download all the links and images on a webpage, or you can stipulate that it downloads only what you need. You can also manually add mirrors, to download from different servers simultaneously to speed up downloads. You can see a full list of the features here. 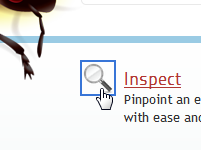 If you encounter a problem where a particular element isn’t working, simply activate Firebug and click ‘Inspect’. 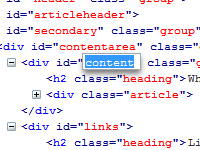 Then, hover your mouse over the offending part and Firebug will divulge a lot of detail about what’s wrong. But, it’s the on-the-fly editing of code that’s particularly alluring about Firebug, allowing developers to tweak and troubleshoot quickly. So, if your inspection finds a problem, hit the edit tab and start fixing. 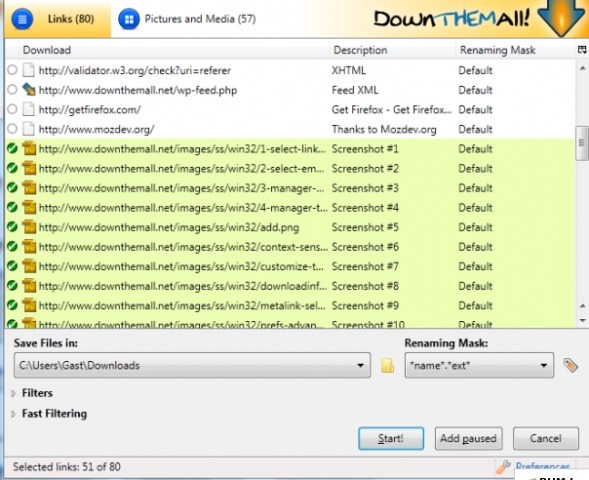 Video DownloadHelper is an extension that helps you extract content from the Web. It enables users to capture video and image files from many websites. As you’re surfing, DownloadHelper automatically detects that it can help you in some way, and a little icon becomes animated and the associated menu lets you download the files by clicking an item. 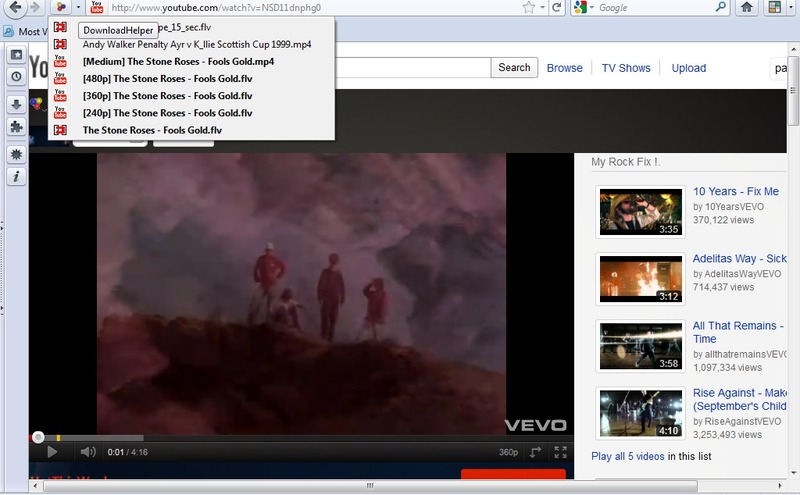 So for example, if you visit a YouTube page, simply click the little arrow in the menu bar, and you can download the video directly to your computer. It works with many video websites. All-in-one sidebar is pretty self-explanatory in that it extends Firefox’s sidebar with a number of additional cool features. You can open bookmarks, view browsing history, view/manage add-ons and more. It’s fully customizable too, meaning you can add and remove items and change how and where the sidebar’s displayed. If you only like intermittent access to the sidebar, it has a one-click show/hide option too. Click here for a full list of features. If you’ve never used a sidebar, then you may not be too fussed about this extension, but many people have grown accustomed to this wingman, and Chrome’s yet to integrate such a feature. Fox Splitter enables users to split Firefox’s window into multiple browsing panes, and you can choose how the panes are divided, e.g. top/bottom, left/right or a combination. This is very helpful for comparing Web pages, or even reading from one email whilst writing another. So in effect, what you have is multiple windows navigable within one screen, and you can even synchronize the scroll state, so both screens scroll simultaneously or independently. It’s a very malleable, customizable feature that you can chop and change to suit your browsing needs. Chrome does have similar extensions, for example Split Screen, but that is limited to two viewing panes and users are required to manually enter two different URLs. Plus, it doesn’t support HTTPS sites either. What Firefox extensions would you dearly love to see on Google Chrome? Leave a comment below.